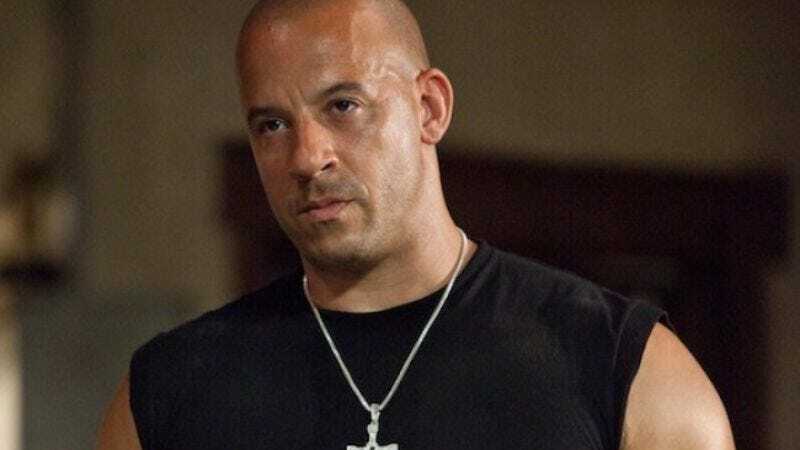 After more than a month of Vin Diesel stoking speculation that he would appear in a Marvel movie, we finally appear to have an answer to the question we weren’t really asking, because it didn’t involve a space raccoon. Over the weekend, Diesel posted a now-deleted photo of Guardians Of The Galaxy’s Groot, and Deadline has since confirmed Vin Diesel is indeed in negotiations to be a gnarled trunk of man who gurgles monosyllabically from a wooden larynx, but this time in space. Diesel has relevant experience voicing the title character in The Iron Giant, another extraterrestrial with limited vocabulary and a cannibalistic appetite. Here he’d also be getting paid handsomely to wring emotion out of a single line—specifically “I am Groot,” which his character says with different inflections, signifying everything from being Groot to being Groot. And as long as we’re taking news from Vin Diesel’s Facebook photos, signs also point to Vin Diesel playing a motivational poster in a rehab facility.